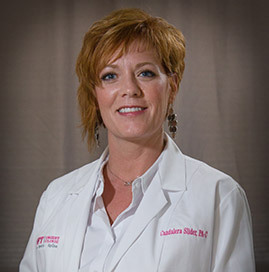 Candalera Slider, PA-C has practiced as a Physician Assistant in the Reno area since 2008. She uses her knowledge and health care experiences to provide excellent patient care and build lasting rapport with patients and fellow health care providers. Candalera has practiced as a physician assistant in an orthopedic urgent care center as well as a general urgent care center in both an urban and rural setting. She also has experience in Family Medicine, Pain Management and Integrative / Restorative Health. Candalera has served as a health care team member in large medical centers, health maintenance organizations, and private medical offices in primary care, as well as specialty disciplines of surgical ICU, orthopedics, obstetrics and gynecology, general surgery, and stroke rehabilitation. In addition, she spent six years as a medical assistant in a major medical center. Candalera is certified by the National Commision of Certified Physician Assistants.